When you’re in charge of organizing an event, having it run smoothly and successfully is essential – especially when your reputation’s on the line. One of the most crucial factors in determining that success comes down to the food and service. Whether it’s a work event, a fundraiser, a bar mitzvah, your wedding, family reunion, or any other memorable occasion, let’s face it – the food is usually the main attraction. That’s why few things are as important as the quality of your caterer. So, your decision shouldn’t be taken lightly. To help make this process easier for you, here are a few things to look out for in your next caterer. How Responsive are They to Your Needs? 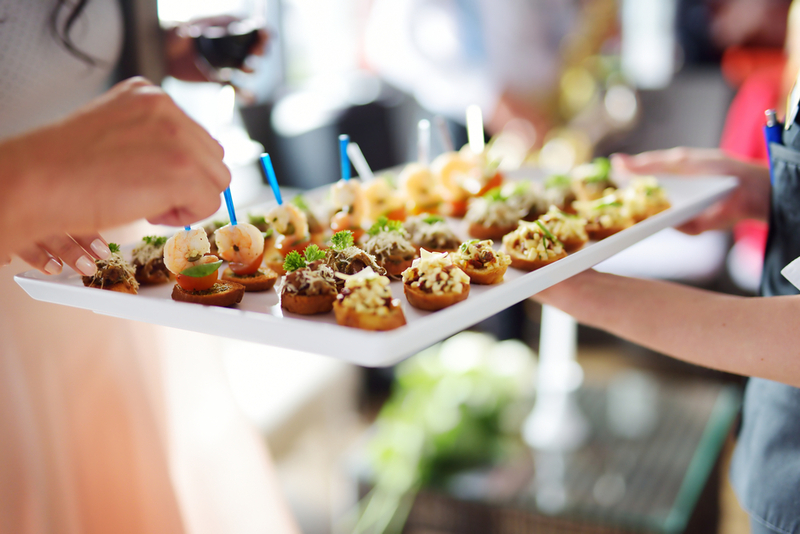 When you’re out hunting for the best caterer to handle the job, one of the critical things to look out for is their level of responsiveness when discussing what you need from them. Are they hesitant when you ask if they can handle an event of epic proportions? Are they stumbling with their answers? The first initial dialogue with a catering company can highlight a lot about how serious and committed they are to providing a top-tiered level of service for your event. So pay attention to your conversation with them. If they seem in any uninterested or hesitant in their answers, keep looking. Every single event is different from the next. And it’s those individual differences that really matter. That’s why any good catering company should be taking the time to get to know each client by asking questions to help understand your needs precisely. Remember, their job is to cater to you. So they should be interested in learning about their clients, along with the theme, the number of attendees, what your budget is, and so forth. If the caterer is engaging in the conversation and getting to know as much about you, your company and the requirements of your event as they can, this is usually indicative that they care about doing a great job. Do They Offer a Wide Variety of Menu Options? Whether it’s a corporate event for the holidays, a wedding, or a social gathering with a brunch buffet, a wide range of food options is essential for hosting a successful event. The Executive Chef should be providing updated menu items that cater to a wide range of pallets, including flexible items that are built into the menus for vegetarians. The menu is a priority, so make sure it delivers what you need. Are They Willing To Provide Tastings? Anyone can tell you that their food is top quality. But you can only know for sure once you’ve tasted it. In addition to determining quality, sampling allows you to better select items that will be placed on your menu based on their presentation and aroma. You should never feel hesitant about asking for a tasting – this is standard to ask before you sign anything. Of course, the reputation of a catering company can really influence your decision. So this is another critical thing to look for in your next caterer. By performing a quick search online, you should be able to see whether they’ve received any special rewards in recognition of their services, along with regular reviews from previous clients. At Centurion Conference & Event Center, we take our job seriously, which is why we go above and beyond to ensure that our clients have the quality food and service that they expect. From simple to elegant, large to intimate, or on-site or at our luxury facility – allow us to cater to your needs. Contact us today!